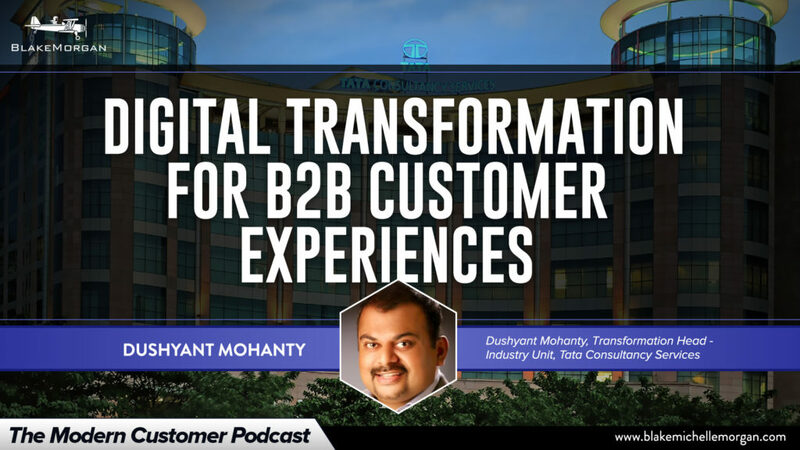 According to Dushyant Mohanty, Global Transformation Head – Industry Unit, Industrial Manufacturing, Energy, Banking & Financial Services, at Tata Consultancy Services, that means moving from being product-centric to being customer-centric. Mohanty helps companies around the world transform to meet the needs of modern customers. He is an expert in B2B manufacturing, energy and financial services.